The iconic Moto Razr is coming back. The Motorola Razr is expected to make a comeback as a foldable smartphone. The phone that I have been waiting since long. According to a report by the Wall Street Journal report which was published last month, Lenovo, which owns Motorola, was planning to bring back the iconic flip phone in a new design with new features. 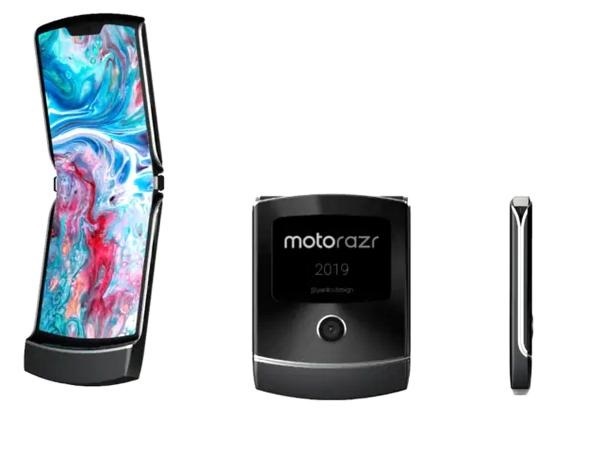 The Moto Razr 2019 could launch soon by the end of this month. Also back in January 2019, a design registration was spotted listed on the World Intellectual Property Organization (WIPO) which showed what a foldable smartphone could look like and the design was from Motorola Mobility. The phone's design also featured the iconic Moto Razr hinge. The design also looked very similar to a patent which was filed previously by Motorola in the United States. Now it looks like someone has used the renders from the WIPO design filing and have created 3D renders of the Moto Razr flip smartphone. The renders were spotted on the website called Yanko Design and created by designed Sarang Seth. The 3D renders gives us a peek on as to how the Motorola Razr 2019 would actually look like if Motorola does decide to go live with it. The Flexible folding display will run across the top to bottom, possibly with an aspect ratio of 19:8. On the back, the renders show a secondary display and a single-lens camera on the upper half. The patent images do not have volume buttons which we supposedly think have been left out of these renders for now.